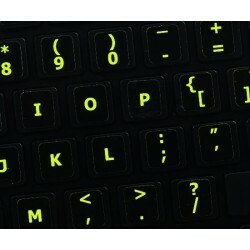 English US Mac Glowing Fluorescent keyboard stickers are vibrant, bright-colored which are proven to be the best solution to work on your computer even in dim or poorly lit places. 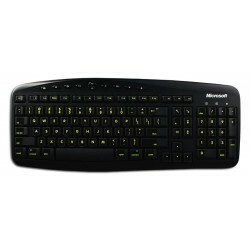 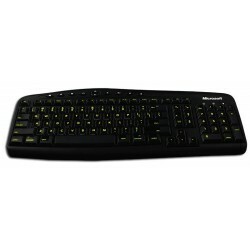 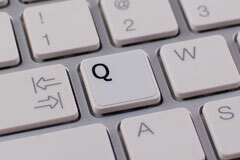 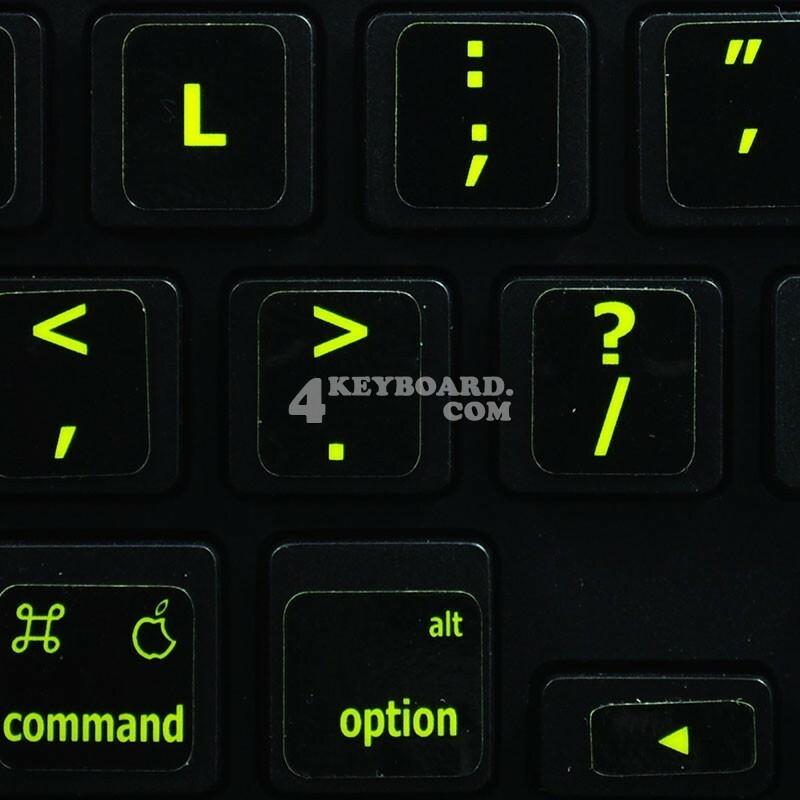 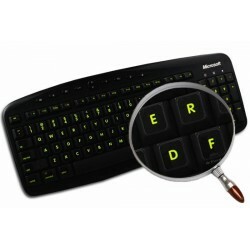 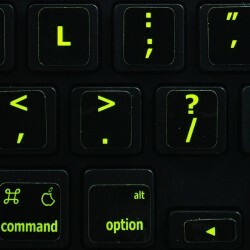 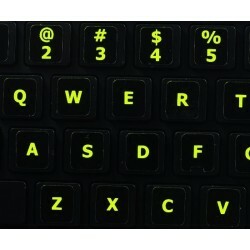 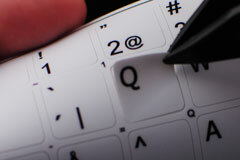 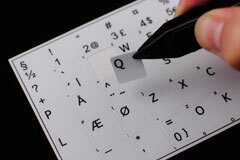 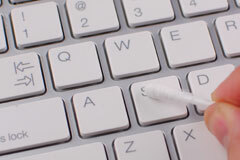 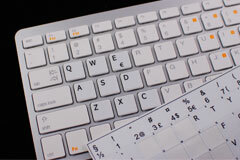 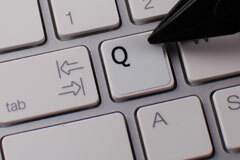 These English US Mac Glowing keyboard stickers are made of a high quality fluorescent vinyl, are durable and efficient. 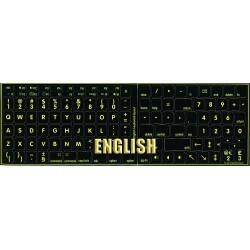 English US Mac stickers suitable for variety of keyboard Desktops, Laptops and Notebooks.